Elon Musk: A Grand Visionary or Short-Sighted Businessman? Elon Musk has become a somewhat controversial figure of late. While he is hailed by some as the symbol of the future, he is also branded by many as everything that is wrong with the world. On one hand, he has revolutionised space travel; but on the other, he may have claimed the space race in the name of the private sector. To many, he is simply a businessman with far too much money having fun with something which is sacred. However, I actually want to argue in favour of Elon Musk – which, no doubt, is at odds with the views of many who write and read this magazine. I do believe that the critics of Elon Musk do have many valid points. I do find the rise of spaceflight privatisation very worrying. The payload of the recent Heavy Falcon was little more than a very costly advertising venture and while it is very cool that Tesla put a car into space and it is on its way to Mars, I worry that this will shift the focus of the private space sector towards these kinds of missions. I.e. the kind where launches become about advertisements or silly business manoeuvres which are simply meant to be humorous and grab people’s attention, rather than serious scientific ventures. I do believe that we all must keep an eye on whether this shift occurs. However, despite my criticism of the Heavy Falcon Launch; I still found it immensely inspiring. I say this not because of the car or the payload but because of the booster rockets. I would recommend to anyone who reads this article to go and watch those twin boosters landing simultaneously on those launch pads. It is simply an amazing feat. We launched a rocket – into freaking space – separated the boosters and brought them back down to land, together! Two huge tubes of rocket fuel landed right next to each other from freaking space! How insane does that sound!? It is literally the future happening right in front of us. I think that we get desensitised to how much of a feat this really is because we’ve now seen it done quite a few times, but I definitely recommend that every now and again, go and see that booster landing video. Even if you’ve seen it before, it does not diminish how amazing it is. As I stated at the start of this article, many people argue that this project was just Elon Musk being a rich man, spending money of which he has too much and claiming the space race in the name of privatisation. I have already voiced my concerns regarding this; however, other than those, I heavily disagree with this argument. I disagree because this borders extremely closely on saying that these launches and these advances of technology are Elon Musk’s achievements. They are not. They are SpaceX’s achievements. Musk didn’t write the code to predict the launch trajectories. Musk didn’t coordinate telemetry as the bolts fired and the rocket roared into the sky. Musk didn’t even build the damn car that was the payload. 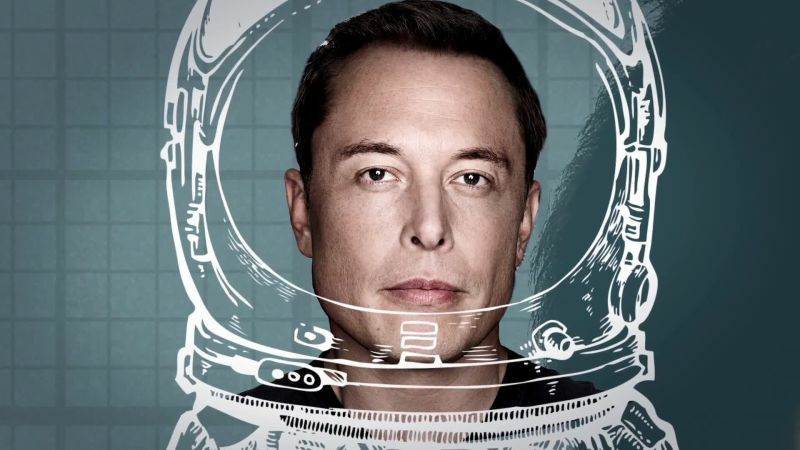 Elon Musk is the CEO of SpaceX, but just as we don’t attribute the Moon landings to the head of NASA at the time or the American government, we can’t attribute the achievements of SpaceX to just Elon Musk. The rocket booster technology that SpaceX is developing and using will be the foundation upon which government space agencies will use to take nations back into space. And while governments refuse to step up because of the zero rewards a serious space program provides in the short lifetime of a democratic administration, private companies and autocratic administrations are. We often hear that argument: ‘shouldn’t we sort out the problems of Earth before we waste money on space programs?’ and I have written against this before. As we saw during the space race of the 50s and 60s, the rewards of a space program were in fact unprecedented and very relevant to problems on Earth. A prime example of this was an advanced water purifying system. This was developed by NASA in the 50s so Apollo astronauts could recycle urine in the case of emergency. It transpired that the method could purify some of the toughest and dirtiest water on Earth. This same technology is now used to provide clean water to millions around the world. And then there are space blankets. This material was originally designed for thermal control on the exterior of spacecraft; it can now be found in any medical kit to save people suffering from hypothermia. These are just two of countless relevant advances due to space agencies. We didn’t have to go to space to discover these technologies but because we went to space we did. I think that is the main takeaway of this article. We look at what SpaceX is doing – landing rockets and sending up cars – we think, ‘Why would this apply to me?’. And, I suppose we have a point thinking this. The fact we can now land rockets doesn’t impact any of us in the slightest. However, I believe that this technology will lower the cost of space travel so much that it could reignite the space race. And if that happens, the rewards for all of us suddenly become very real. And if that happens, we will have SpaceX to thank for it, a group of people – of different genders, creeds, nationalities and ideologies – working so hard for a company which is pioneering the space race. It will be because of them. Not because of just one man.